Former Volkswagen senior executive Oliver Schimdt was sentenced to seven years imprisonment as well as fined $ 4,00,000 (2.57 crore approx). The sentence comes from a US district court based on Schimdt's role in the VW emissions scandal. Schmidt was arrested in Florida during January this year while he was returning from a holiday. He had been VW's emissions compliance manager for the US until February 2015. Following his arrest, Schmidt had pleaded guilty to two charges - conspiracy to defraud the US to commit wire fraud, and violation of the Clean Air Act. The former VS exectuive's defense had appealed for a sentence of up to 40 months, and a $ 1,00,000 (Rs 64.47 lakh) fine. At the time of pleading guilty, Schmidt told the court that he had learned of the 'defeat devices' installed in the diesel cars in summer 2015. 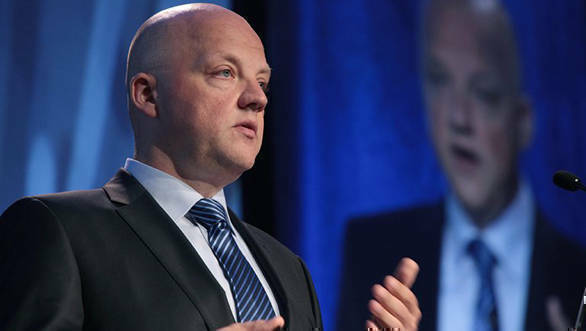 Schmidt is the second Volkwagen executive to be sentenced by a US court. Earlier, James Liang, former head of diesel engines competence, was sentenced to 40 months imprisonment and a $ 2,00,000 (Rs 2.27 crore) fine. In March 2017, Volkswagen AG had pleaded guilty to criminal charges related to the scandal, receiving a fine of $2.8 billion.